Boy it’s getting hot out. 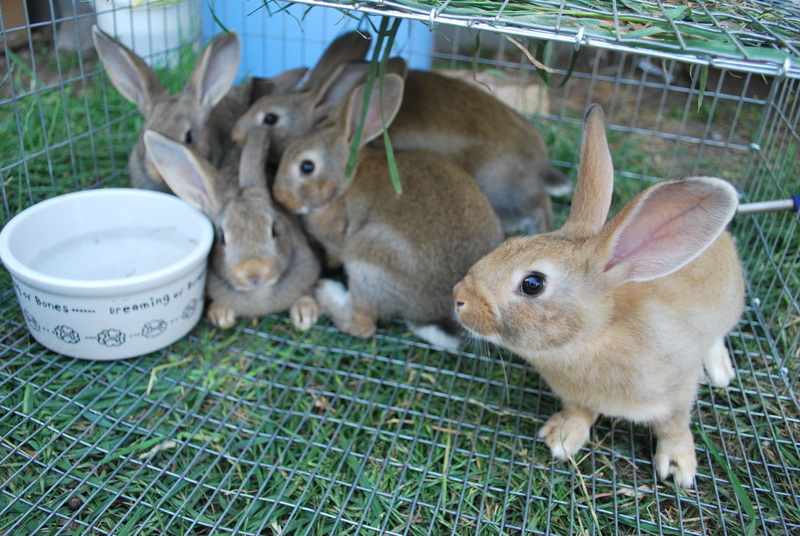 The hybrid kits have now been moved outside to their own pen because their mom is due to kindle in about a week. If all goes as planned it will be our first hybrid Creme d’Argent/Californian litter. In the meantime these guys seem more than happy to get out of the barn into the fresh air. Here are the recorded weights for this week: 1088g, 1077g, 1073g, 1059g, 1056g, 983g, 966g and 808g. That’s a total of about 8 kilos (8110g) and overall increase from last week of 2659g. Nice! These kits at six weeks are pretty much the size of some of my smaller, purebred Silver Marten kits at ten weeks!